Around a year ago, we told you about Gerald Scarfe's then current exhibition at London's House of Illustration, which ran until mid-February this year. 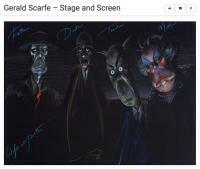 For all those who missed it, there's another chance coming up to enjoy "Gerald Scarfe: Stage & Screen". 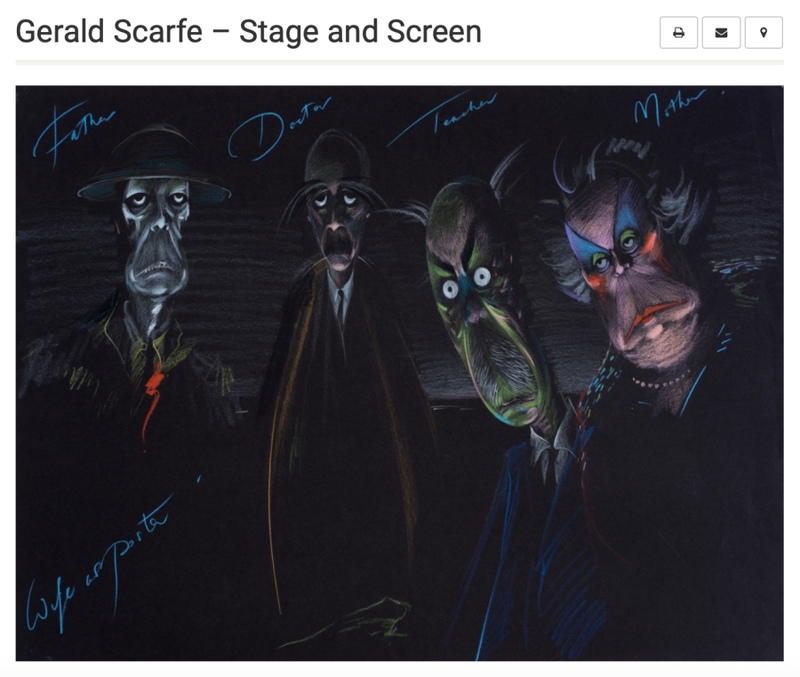 The exhibition looks at Scarfe's varied work for stage and screen. It's a rare opportunity to explore the extensive but little-known production designs by the celebrated political cartoonist. Storyboards, costumes and props are on display from Pink Floyd's The Wall, Disney's Hercules and English National Ballet's The Nutcracker. Many of the works on display are being shown for the very first time as part of "Gerald Scarfe: Stage & Screen". Having seen the London staging, we are sure that again there will be a fair amount of Floyd-related material on display amongst his work for other projects, so should definitely be worth a visit if you are able to get to Canterbury, in Kent (found around 65 miles to the east of London).